Want to know more about any of the courses we offer, or your entry options? Or do you want to chat to one of our friendly staff? We would love to hear from you! For information on how to get to a campus, see our Getting to ECU page. 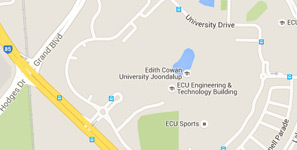 Contact numbers for a range of ECU services and campuses is provided here. For all media queries or to speak to one of our subject matter experts, please contact our media team.